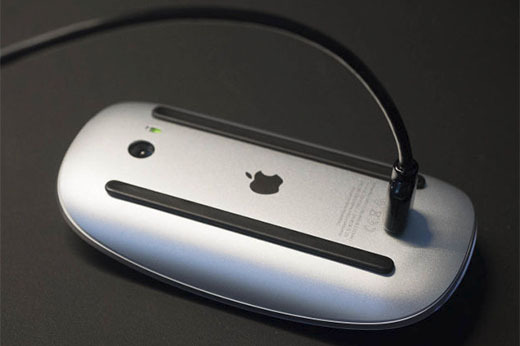 Here's an image from Gizmodo's Adam Clark Estes, who describes it as the "sad reality" of charging Apple's Magic Mouse 2. This is charging - a necessary thing! - as an afterthought, not integrated into real usage scenarios or given its own usability consideration. And Apple's done it before. It reflects a complete prioritization of the other 99% of the product experience, which is a viable decision - but still, it feels lacking. That poor mouse, stuck on its back like an overturned turtle? Sad indeed!